For the impulse turn OMV, Figure 5.16 shows the dramatic reduction in the total propellant mass (launcher and OMV) required per unit mass of the satellite by advancing the performance of the launcher propulsion system. 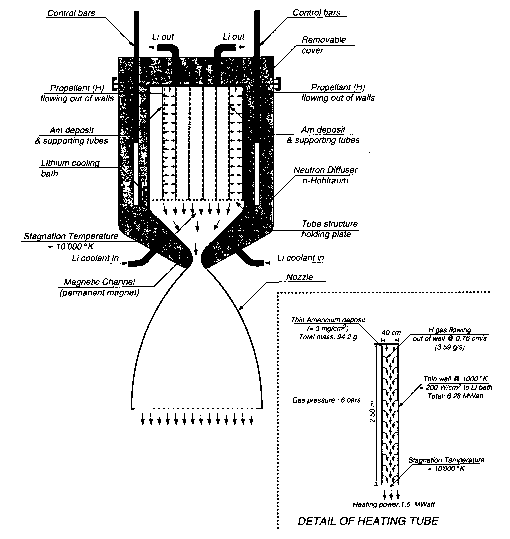 Incorporating a LACE system into an existing hydrogen/oxygen rocket, the propellant required to deliver one mass unit of propellant to LEO is reduced by 56%. Proceeding to a Mach 12 ram/scramjet produces another 50% reduction in the required propellant to deliver one mass unit of propellant to LEO. So instead of the 228.2 mass units of propellant required to deliver one mass unit of propellant to LEO, LACE reduces that number to 99.6 and a Mach 12 ram/scramjet reduces that further to 50.0 propellant mass units. However, the real advances occur when both the launcher and the OMV propulsion systems are improved.